Marilyn Chu, teaches in the Early Childhood Education program within the Elementary Education Department. 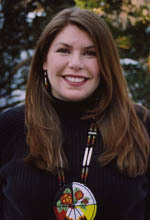 She received her BA in Anthropology from the University of Michigan; an MA in education from Western Washington University and Pacific Oaks College-Pasadena; and her Ed.D. from Nova Southeastern University-Fort Lauderdale, FL. Marilyn is interested in culturally and linguistically relevant infant/toddler program partnerships. She is in the final year as the Skagit Valley Head Start Higher Education/Hispanic-Latino grant project investigator. Through her teaching and study, she hopes to learn more about how to give future early childhood professionals the tools to work effectively with families and community to create programs to support the healthy identity development of young children. See Marilyn's Where I Am From poem (PDF), as well as the Action Research Assignment (PDF) she uses in her Early Childhood Education course. 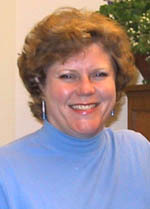 Patricia Fabiano, Ph.D., department of educational leadership, joined the Student Affairs Administration Graduate Program in 2005 after serving 15 years as Director of Prevention and Wellness Services, where she authored $4 million dollars in grants and published on the prevention of alcohol misuse. Pat is interested in developing Multiculturalcompetence in higher education professionals and coordinates the new undergraduate minor in Diversity in Higher Education. She is piloting a scale for assessing Multiculturalprofessional development needs among higher education professionals. See Pat's Where I Am From poem (PDF), as well as her version of this "Where I Am From" Poem Assignment. Kristen B. French, from the department of elemenrary education, received her doctorate from the University of Massachusetts-Amherst under the mentorship of Dr. Sonia Nieto, a leader in the field of Multiculturaleducation. Kristen is director of the Center for Education, Equity and Diversity and assistant professor in Elementary Education at Western Washington University. She has been a teacher and teacher educator for over a decade. Her interests include Multiculturalteacher education, decolonizing theory, Indigenous education, and critical performative pedagogy. See Kristen's Where I Am From poem (PDF). Dr. Harwood, department of secondary education, teaches middle school courses as well as undergraduate and graduate methods courses. She serves as an advisor to the graduate program. 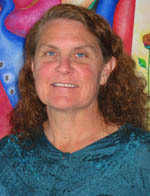 Dr. Harwood serves as the Service-Learning Coordinator for Woodring College. She coordinates campus-wide faculty development for Western's Center for Service-Learning. Mitchell Jancic, department of elementary education, received his Ph.D. in Educational Leadership from the University of California Santa Barbara. Dr. Jancic’s focus has been on mentoring pre-service and in-service teachers and currently serves as the Elementary Education Department’s Internship Liaison as well as teaching courses in Social Studies Methods and Documenting Teaching. From the department of human services, Susan's professional and scholarly interests: Narrative and social justice, education, and diversity. Restorative storytelling and narrative therapy. The relationships between narrative and systemic change at all levels of society. 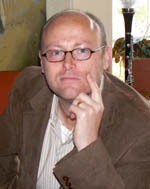 John Korsmo, Ph.D., is Assistant Professor of Human Services at the Woodring College of Education at Western Washington University. John is principally interested in family culture and human ecology and has worked extensively to support youth and family efforts to deal with and depart from cycles of poverty and violence, having worked in numerous capacities in low-income neighborhoods in Oregon, Wisconsin, and Washington. His experiences range from primary school P.E. teacher, high school coach, mentor, counselor, and program director to Executive Director of two organizations. 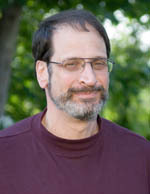 Prior to WWU, John was on faculty at the University of Wisconsin-Milwaukee, and also taught courses for Springfield College. John’s articles have appeared in such journals as Qualitative Inquiry, Relational Child and Youth Care Practice, Journal of Child and Youth Care Work, andInternational Child and Youth Care Network. John has presented his work in Austria, Canada, and Finland and regularly speaks at conferences and provides consultation throughout the US. 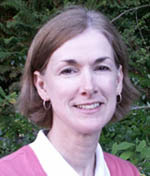 Suzanne Krogh, Ph.D., teaches early childhood and elementary education at Western Washington and has been a member of the faculty since 1990. Her research and writing interests have included integrated curriculum, inquiry learning, and issues related to democracy and justice. Diane started in the TESOL program part time in 1998 teaching the linguistics (401) course while also teaching in the Intensive English Program on campus. 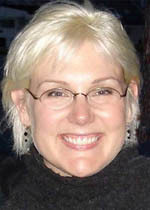 In March of 2005, she began working full-time in TESOL. Diane taught atWhatcom Community College for three years, instructing classes in both the immigrant/refugee and international student programs. She also coordinated and instructed a two-week intensive program for students from Okayama Business College, Okayama, Japan. Before teaching at Whatcom Community College she taught at the University of Oregon’s American English Program and did a practicum in the local schools there as part of her master’s degree. 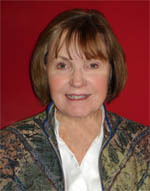 Diane taught ESL courses in Western Washington University’s Intensive English Program from 1995 to 2005. This included teaching all language skills and TOEFL preparation classes to international students learning English. 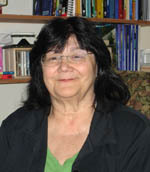 She has been teaching TESOL courses since 1998 including 401, 403, 402, 420, 430 and assisting in 410. She especially enjoys teaching the linguistics and English grammar courses. 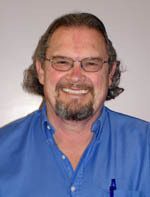 Dr. McClanahan teaches graduate and undergraduate secondary methods courses and courses on developmental reading, writing and learning in the secondary school within the department of secondary education. She serves as an advisor to the graduate program. Dr. McClanahan observes/evaluates students earning their 5-12 teaching certificate. Lauren and her students also work closely with students in rural Alaska to document the effects of climate change through reading, writing and photography. See Lauren's Where I Am From poem (PDF). Dr. Romano teaches undergraduate secondary methods courses within the department of secondary education. Tracy Thorndike-Christ, PhD. is an educational psychologist who teaches human development, individual and group differences, learning, motivation, and assessment to teacher candidates in Woodring College of Education through the department of special education. Tracy earned her PhD. in Psychological and Cultural Studies from the University of Nebraska-Lincoln in 1998. 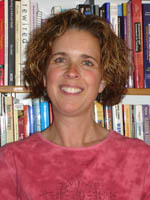 Her research interests center on the impact of motivational variables on learner and teacher classroom behaviors. Most recently, Tracy has focused on the attitudes and beliefs of teacher candidates toward students with widely varying learning needs including those with disabilities, English language learners, and students from diverse cultural backgrounds. See Tracy's Where I Am From poem (PDF). Maria Timmons-Flores has been teaching culturally and linguistically diverse students in schools, communities, and wilderness for over 25 years. It was these students that inspired her commitment to social justice and motivated Maria to earn a PhD in Bilingual/MulticulturalEducation. Maria’s teaching and research focus primarily on supporting teachers to understand the influence of language and culture on learning. She teaches courses in bilingual and Multiculturaleducation and teaching strategies to support ALL learners. Believing in the power of collaborative learning communities, she has worked extensively with new teacher researchers and with teachers from Rethinking Schools. Maria’s current research is transnational, exploring the “funds of knowledge” that students bring to school from their homes and communities in the US and Mexico. Maria joined Woodring’s TESOL faculty in 2008 to develop the program in Bilingual Education. Dr. Wolpow, from the department of secondary education, teaches both graduate and undergraduate courses. His interests lie in literacy and study skills education, trauma-sensitive learning and teaching, compassionate methods to increase the resiliency of at-risk students and Holocaust education. 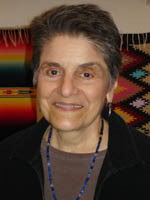 Dr. Wolpow serves as Director of the Northwest Center for Holocaust, Genocide, and Ethnocide Education. Unless otherwise noted, the Innovative Teaching Showcase created by the Center for Instructional Innovation and Assessment at Western Washington University is licensed under a Creative Commons Attribution-NonCommercial-ShareAlike 4.0 International License.